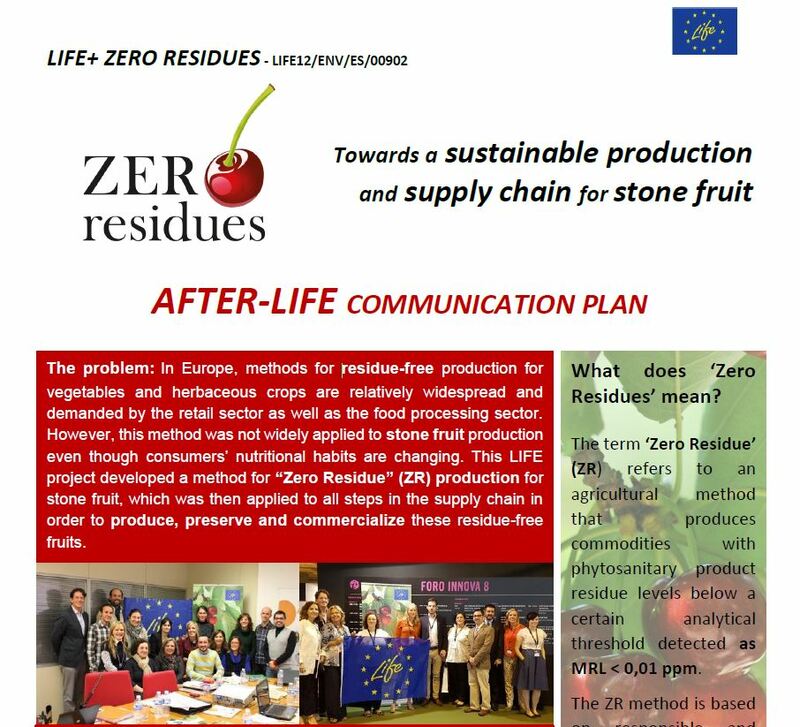 During the last months, the partners of the LIFE ZERO RESIDUES project have developed a plan to continue efforts of communication and dissemination of results. Amongst these, activities such as press interviews and collaboration with private and public sector actors are included in order to continute replicating a sutainable production and supply chain of stone fruits in Spain and in Europe. To download the the document (in PDF format) Click here.